According to the Missing Songfacts, the duo of Ben Watt and Tracey Thorn were students at the University of Hull when they met. She was a singer in the pop duo Marine Girls and Ben contributed a photograph to the cover of their LP. They wound up becoming inseparable, forming their own group in 1983, living together and eventually getting married. The name Everything But The Girl was inspired by an advertising slogan of Turner's Furniture, a popular store in Hull near the university. Watt and Thorn quickly became popular in their native Great Britain and began to gain popularity in the United States in 1990 with the release of the album The Language of Life, which produced singles that got airtime on VH-1. They successfully pulled off one of the greatest stylistic changes in modern music; originally a folk-pop group with jazz influences, their fortunes changed when Todd Terry successfully remixed 'Missing' (from Amplified Heart). Since then, EBTG have become more widely known as an electronic act, with Walking Wounded being a well-received example of their latter-day sound. EBTG as a duo is currently on hiatus, as Watt and Thorn raise their children out of the public eye. Watt is a very successful club DJ and remixer, also releasing several mix compilations named after his London-based deep house night Lazy Dog. He currently runs the label Buzzin' Fly. 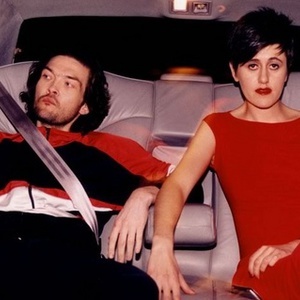 The 2006 collaboration of Tracey Thorn and Tiefschwarz on the underground hit song Damage seems to have woken up the artistic spirit in Thorn once again, who released her second solo album, Out Of The Woods in early 2007.